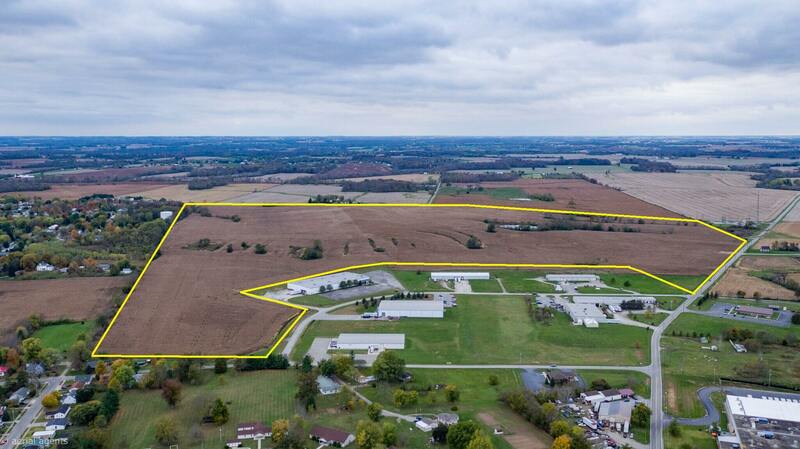 Located just 12 miles south of US 35 and 24 miles from I-71, this property holds multiple development, industrial, and business opportunities. 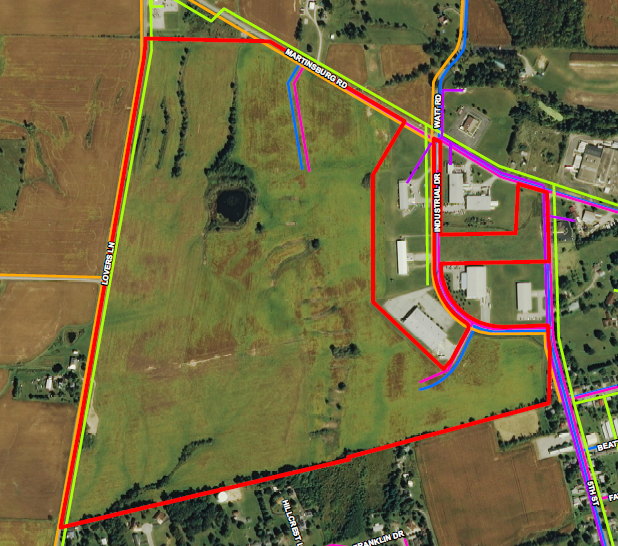 There is plenty of excess capacity of water and sewer for the South Central Ohio Industrial Park located in a semi-rural setting, north of Greenfield, Ohio. The park currently contains several manufacturers. All utilities are available on the property. 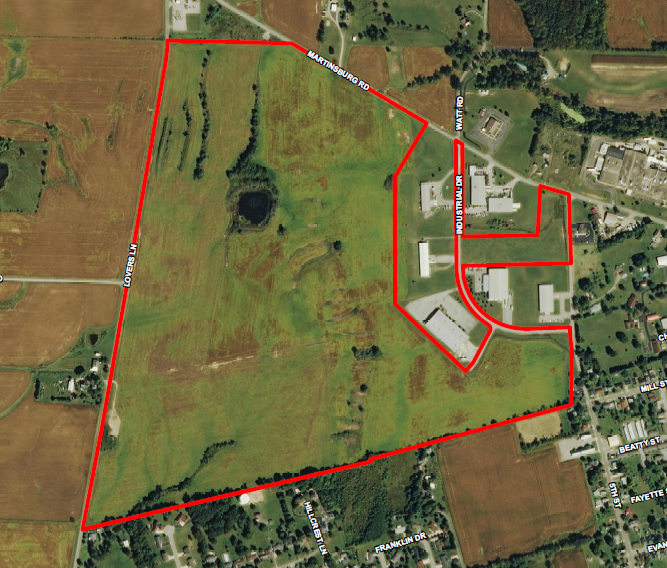 The topography of the South Central Ohio Industrial Park varies throughout the 187-acre site. From Lovers Lane to the east, the site is gently rolling with an elevation of approximately 974 to 1024 feet above sea level. The site slopes towards Industrial Park Drive with an elevation change of up to 94 feet. There are various areas where development of multiple industries are possible. According to the USDA NRCS, there are ten soil types mapped for the site. The two dominant soil types shown are Brookston silty clay loam, fine-silty, 0 to 2%slopes (Bt – 64 acres, 29.1% of the site) and Miamian silt loam, 2 to 6% slopes (MIB – 34.2 acres, 15.5% of the site). According to the two FEMA FIRMs for the property, 39071C0157E and 39141C0275D, the site is located within Zone X. Zone X is determined to be outside the 0.2% chance flood plain. 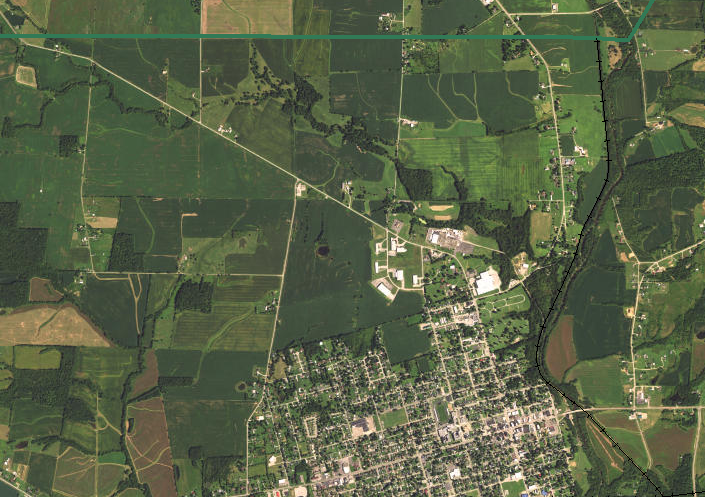 The USFWS NWI map for the South Central Ohio Industrial Park property shows one wetland located near the northwest portion of the site. This wetland is labeled as PUBGh (Palustrine, Unconsolidated Bottom, Intermittently Exposed, Diked/Impounded), a freshwater pond, totaling 1.98 acres. The primary vehicular access to the site is from County Road 98/East Martinsburg Road. It is a two lane road and there is good visibility for motorists turning into the site. The site can be accessed by a secondary road, N. 5th Street coming north out of Greenfield. The secondary road is located along the eastern boundary of the site. A third roadway for access to the site is County Road 374/Lovers Lane, located along the western site boundary. 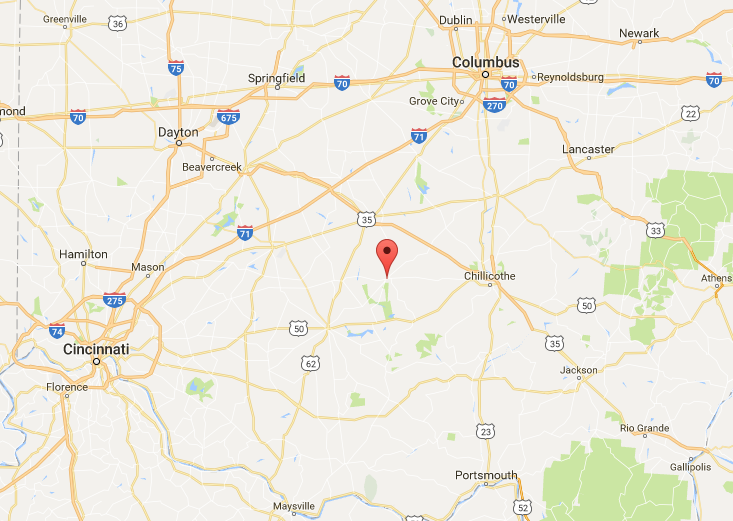 This site is located 12 miles from a four-lane highway, US 35, and 24 miles from Interstate 71. There is no direct railway access at the site. The Greenfield Rail Line, operated by the Indiana & Ohio Railway, is located approximately one mile from the site. The Highland County Airport is located approximately 17 miles from the site while the Clinton County Airport is 27 miles from the site. Larger international airports within the vicinity include John Glenn International approximately 65 miles from the site and Dayton International approximately 77 miles from the site. Natural gas service is provided to the site by Vectren Energy. The gas line is a 6 inch, high pressure main that is located at the north side of South Central Ohio Industrial Park along Martinsburg Road. Electric service is provided by Dayton Power & Light Company. Service runs throughout the park along all roads and is accessible for each building site. Potable water service is provided to South Central Ohio Industrial Park by the Village of Greenfield. The Water Pumping Station is located within the Village and groundwater is drawn from 8 wells. The current pumping capacity of the pumping station is 1,600,000 gallons per day with an average daily flow of 455,000 gallons per day and 1,145,000 gpd available capacity. An additional water storage tank is located just south of the site with a storage capacity of 1,900,000 gallons. Currently there is water service throughout the park. There is a 10 inch plastic water main along Industrial Park Drive and then reduces to 8 inches at Daniels Drive. The water lines would need to be extended during development to various area within the park. Sanitary sewer/wastewater services are provided to the South Central Ohio Industrial Park by the Village of Greenfield. Currently the sewer system has the capacity to serve the property with 755,000 gallons per day. There is an 8 inch gravity sewer line along Daniels Drive and the north side of Industrial Park Drive. The sewer lines would need to be extended during development to various area within the park. The wastewater treatment plant has the design capacity for 1,640,000 gallons per day with an average daily flow of 885,000 gallons per day. Telecommunication and fiber optic services are provided by Time Warner, Verizon and Horizon. All services are available within the park. Horizon’s fiber optic services are located along N. 5th Street and can provide direct internet access at bandwidth levels of 5mb to 10gb.